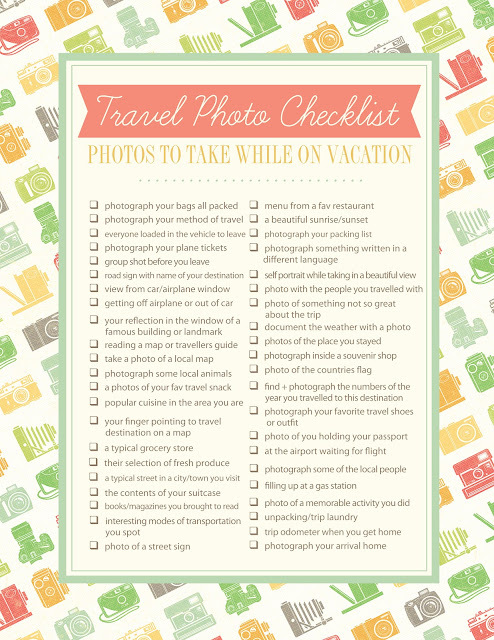 I downloaded this pretty travel photo checklist from my pinterest. It's a free printable photo checklist from Rebecca Cooper at "Simple As That". Since we will be having our holiday vacation in Bangkok end of this month, I just thought that this will be of great use to us. I am going to print it as soon as I got back home for my vacation in the Philippines. I am actually looking into the possibility of creating a travel journal as well, but we'll see. I don't have any idea how busy I am in the next few days so, I would see first if I could squeeze this in into my busy schedule. I would definitely try my best to make one, though. I failed to do this during our last vacation in Vietnam and I would certainly love to have this Bangkok vacation a little bit more exciting and fun.